At Frijoles, we like making videos about food. Check out our videos featuring some of our best menu items, with a side order of humor. Frijoles & Frescas Featured on Telemundo! Watch Our Segment on Telemundo’s Que Noche Con Angelica y Raul! Here is our first of many to come. 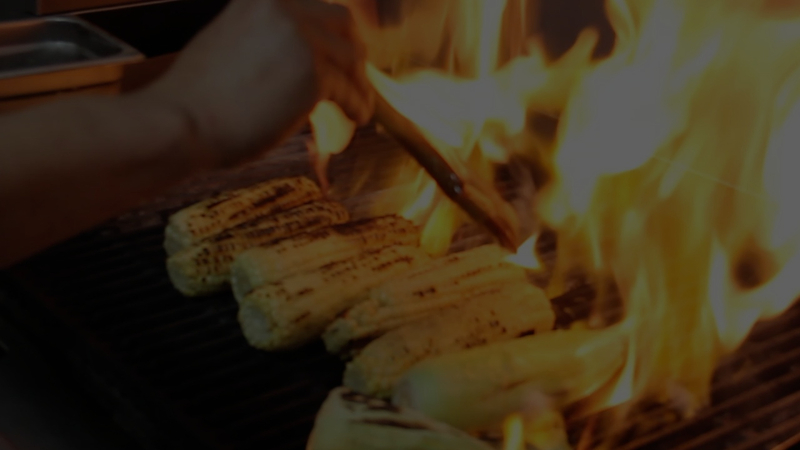 This one features our customer favorite grilled Mexican Street Corn, or “Elotes.” It’s probably the best video you will ever see about corn. Frijoles & Frescas on CNN! Here is our segment on CNN, reporting about Frijoles’ viral video on YouTube. Which Frijoles is the BEST? Which of our first two locations is the best you ask? Francisco has the answer… kind of … in this humorous TV spot made for spanish TV. Want to learn more about our catering options? Take a tour of our catering packages and learn why Frijoles & Frescas is the PERFECT pick for catering. A brief recap of what Frijoles accomplished in its first 2 years of operation. At Frijoles & Frescas, we make it right before your eyes! Take a tour of some of our best dishes. Watch!